The Mustangs 60's were started by Regis Finnegan, and then managed by Matt Mattson. U nder Matt Mattson, the Mustangs were the 2013 USA 60's Division Champs, Winter National Champs and the 2013 State Champs FHC. The 2014 Winter National Champs 60's Division, under J.D. Davis, we were runners up 2015 Winter National 60's Division, 2016 ISA Winter National Champs, 3rd place 2017 USA Tournament of Champions, 3rd place in 2017 Winter National, 2017 State Champs. 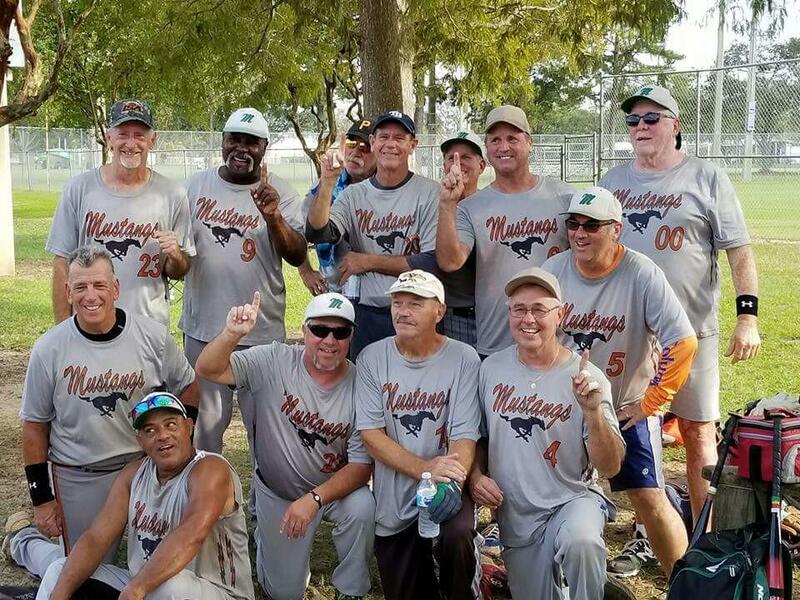 We are based out Lakeland and Winter Haven, and are senior softball league players who never give up.